Now that 2019 is well underway, it was only a matter of time until London started offering up Valentine’s Day events. 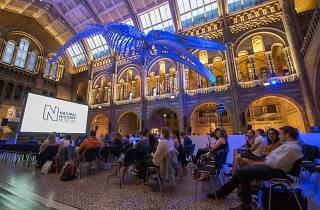 This year, the Natural History Museum wants to make your February that much more cinematic with screenings of a number of film favourites. And don’t worry, there are options for the romantically disinclined too. Joining forces with proprietors of The Luna Cinema pop-up, the Natural History Museum will be screening six films between February 14 and 16. If you’re after a bit of smushy romance then they’ve got you covered: along with screenings of ‘Love Actually’ and ‘Pretty Woman’, they will also be hosting blubber-worthy showings of ‘The Notebook’ and this year’s Oscar-bait, Lady Gaga and Bradley Cooper’s musical behemoth ‘A Star is Born’. Those who prefer violence on Valentine’s Day won’t be disappointed either, with a screening of ‘Kill Bill: Volume 1’ reminding us that the heart most definitely bleeds. And finally, let ‘Thelma & Louise’ remind you that, actually, your friends are your true ride or die. 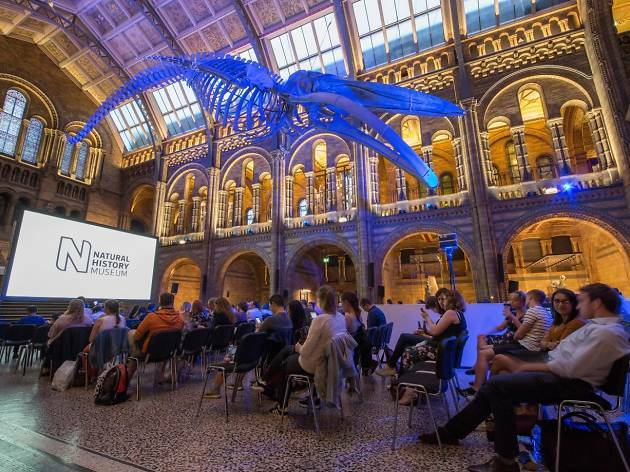 As always, the screenings take place in the Natural History Museum’s iconic Hintze Hall, underneath Hope, the giant blue whale skeleton. Those attending the screenings will also receive complimentary popcorn as well as entrance into the Natural History Museum's ‘Life in the Dark’ immersive exhibition. Tickets cost £27.75 per person, although members of the Natural History Museum get a nifty 10 percent discount. Tickets can be booked on the Natural History Museum website. Discover more pop-up cinema news delivered straight to your inbox when you sign up to Time Out.